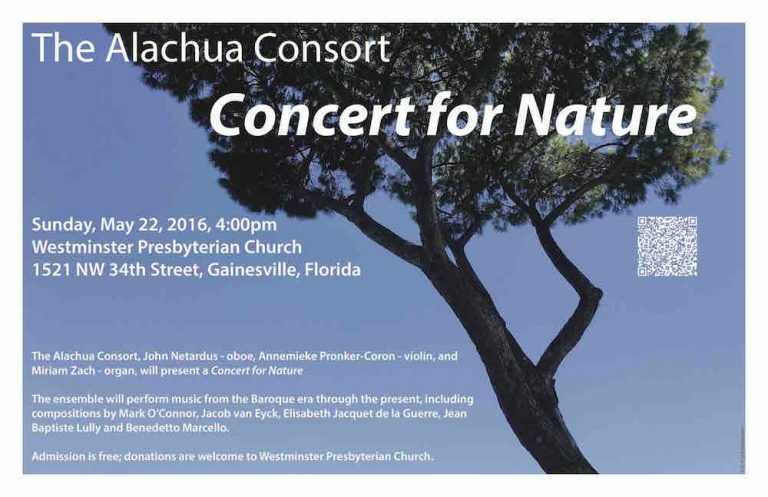 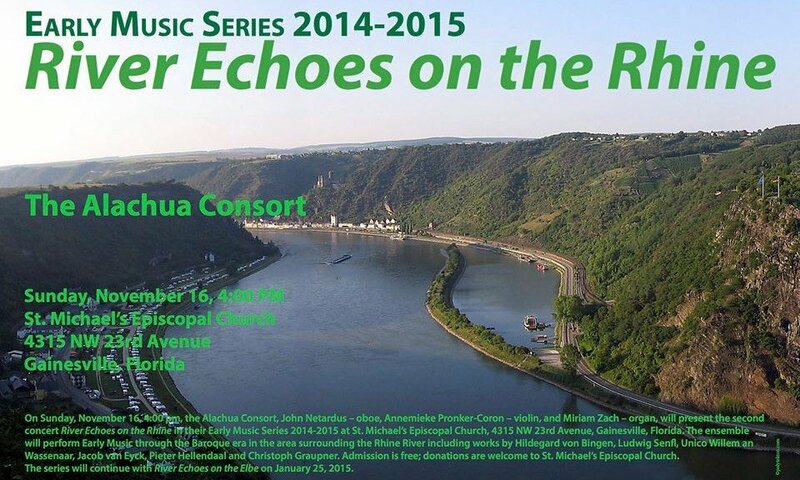 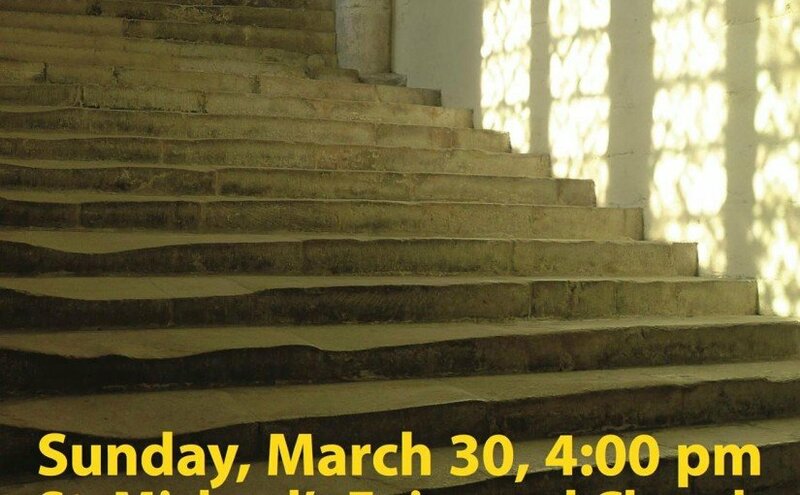 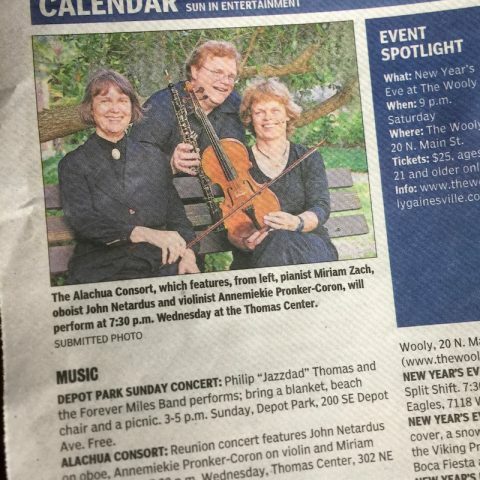 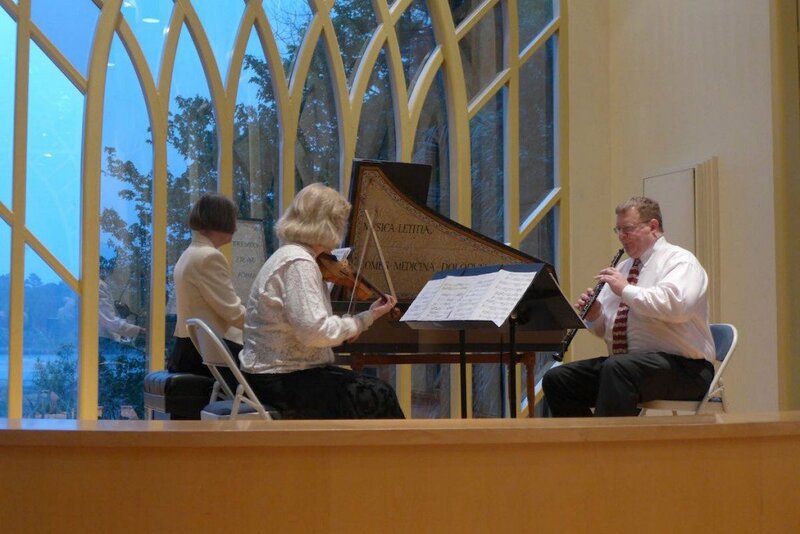 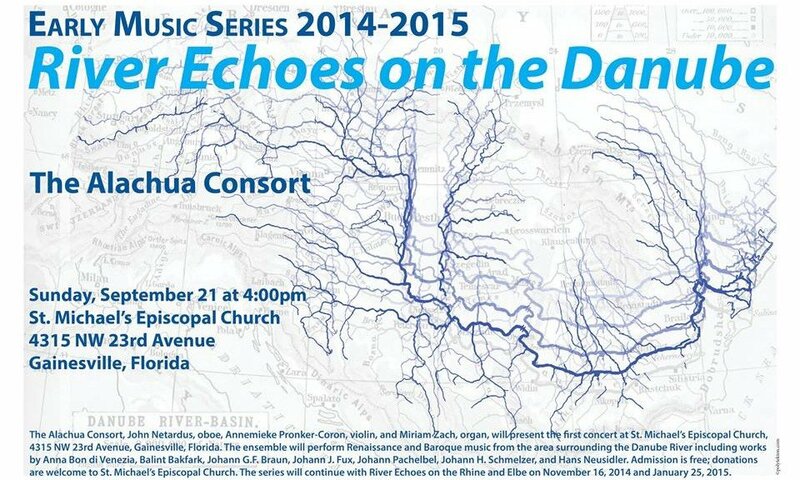 The Alachua Consort, John Netardus – oboe, Annemieke Pronker-Coron – violin, and Miriam Zach – organ, will present the third concert River Echoes on the Elbe in their Early Music Series 2014-2015 on Sunday, January 25th at 4:00 pm at St. Michael’s Episcopal Church, 4315 NW 23rd Avenue, Gainesville, Florida. 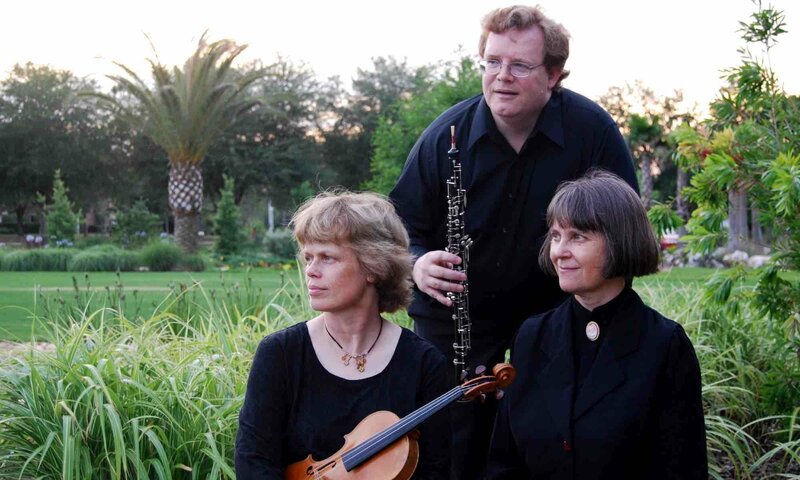 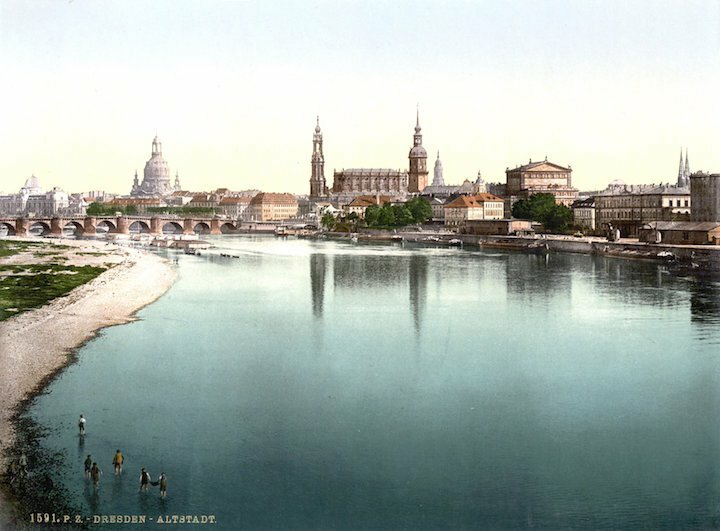 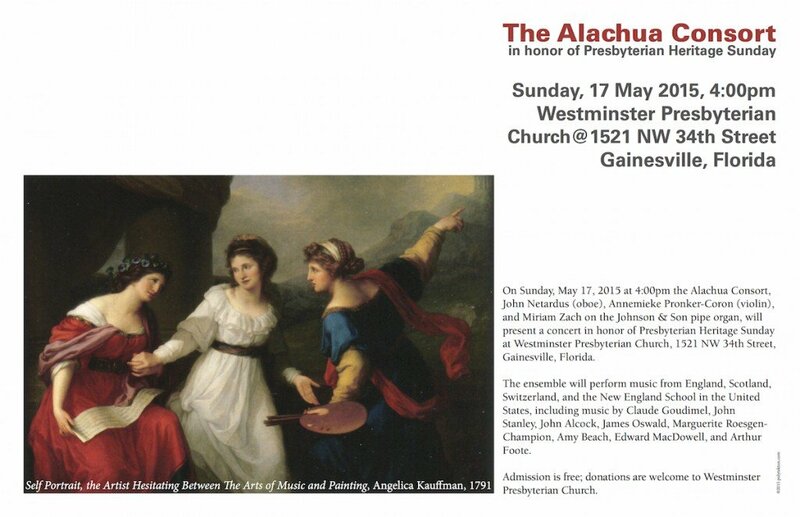 The ensemble will perform Early music through the Baroque era in the area surrounding the Elbe River including works by Anna Amalia, Michael Praetorius, Samuel Scheidt, Jan Zach and Jan Dismas Zelenka. 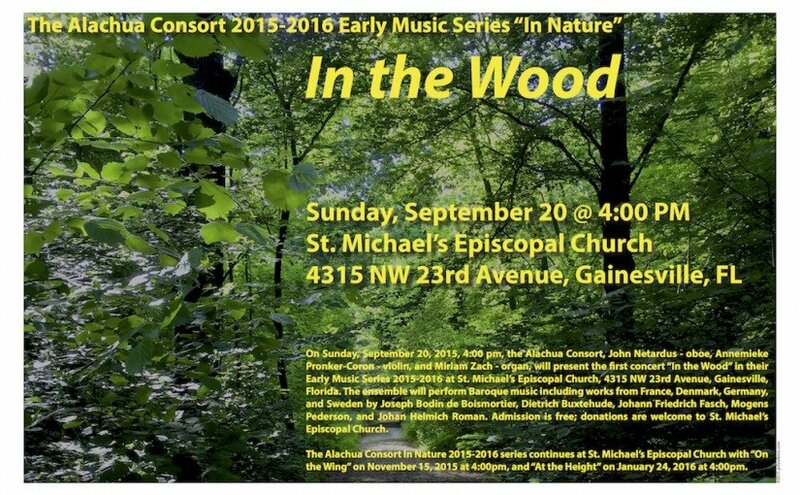 Admission is free; donations are welcome to St. Michael’s Episcopal Church.